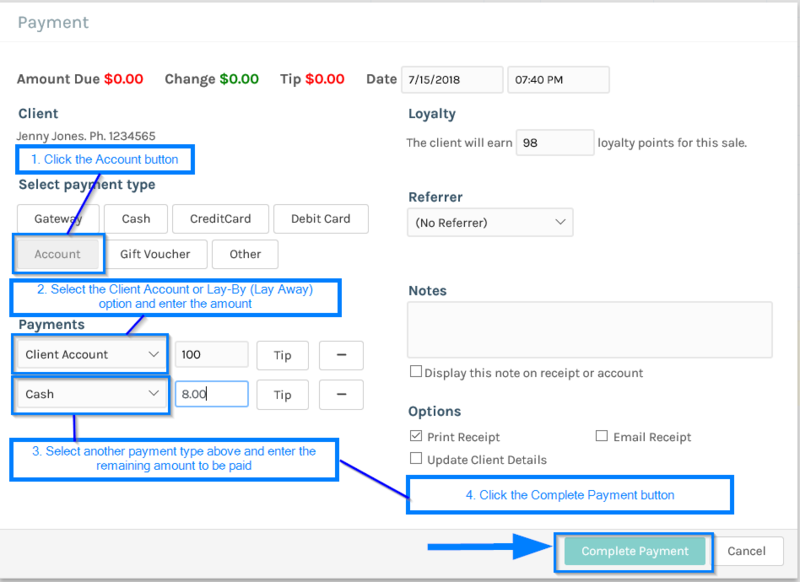 Sometimes your clients may purchase a product or service and pay later, You'reOnTime manages this by the Client Accounts function. When processing a sale simply follow the instructions below. Make sure to select an option under the Account payment type. 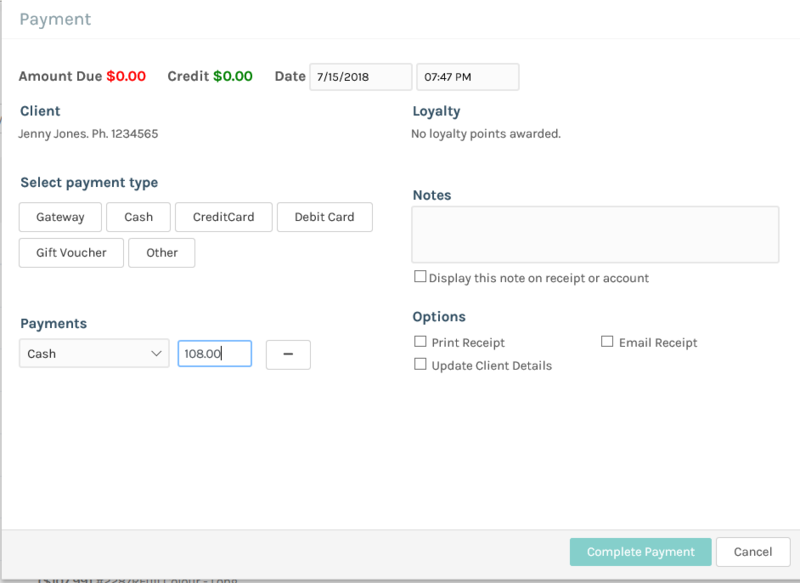 The Payment pop-up screen will appear (minus the Account payment type option), select the payment type and enter the relevant amounts before clicking Complete Payment. The Client record will then reflect the new account balance, as shown below. 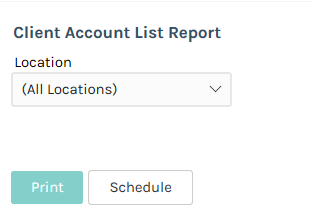 Once on the Reports screen click on the Client Account Balance List which is located under the the Client section as shown below. You then enter which location's Client Account list you which to view and click the Print button. The report will show all your outstanding Client Accounts and some of their details, most notably their Balance. 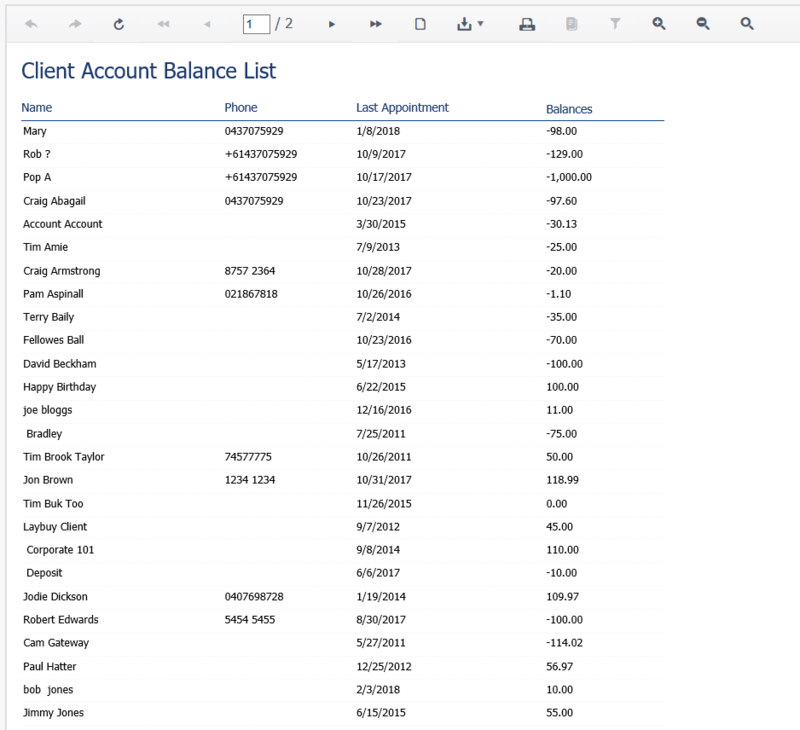 From here you can also Print the Client Account list using the printing options above the Client Account List heading.